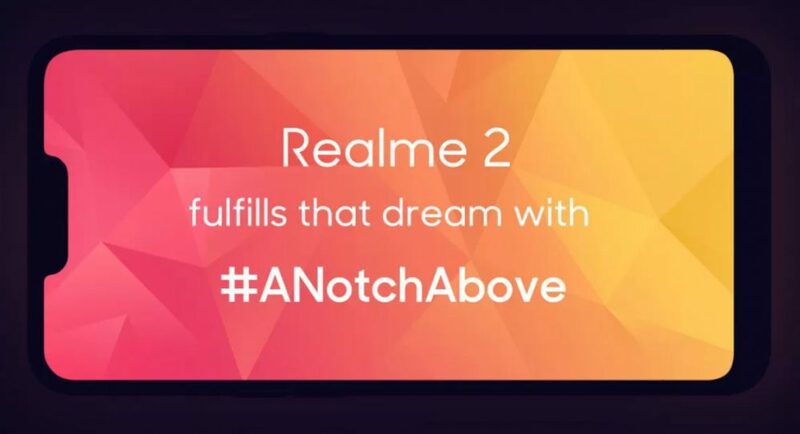 Realme has launched the second generation, the Realme 2, with the tagline ‘A Notch Above’. The phone features a 6.2-inch HD+ display with a notch at the top. The screen to body ratio has been brought up to 88.8% and the resolution of the screen is 720×1520 pixels. The screen is protected by Corning Gorilla Glass 3, which is an upgrade over the first generation. 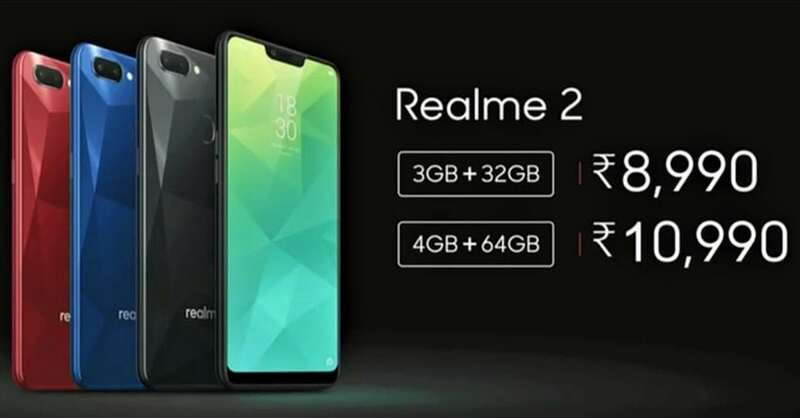 The Realme 2 draws its power from an Octa-core 1.8GHz Snapdragon 450 processor with an option between a 3GB+32GB configuration or 4GB+64GB configuration of the RAM and the internal storage. 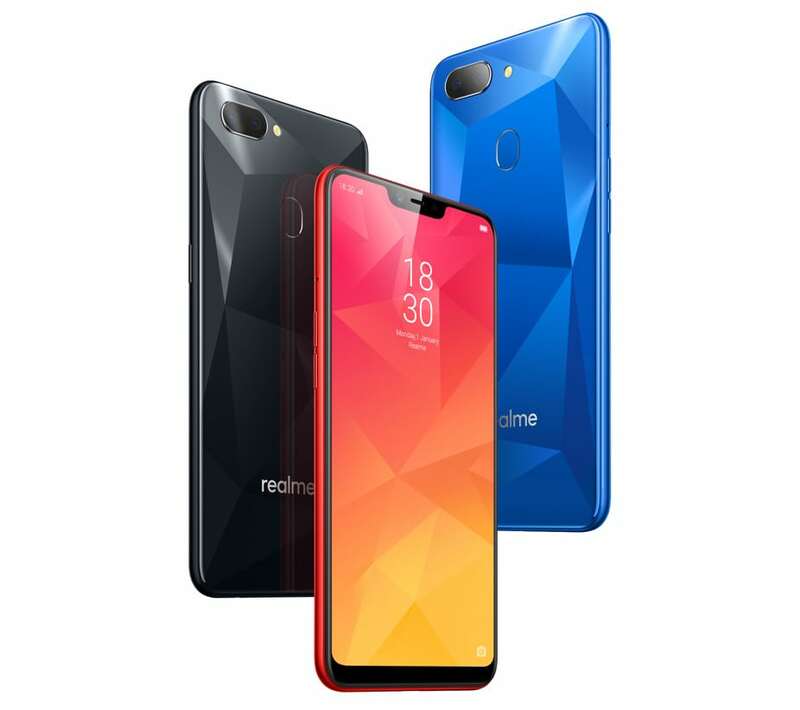 The phone has an Adreno 506 GPU with AI Gaming technology to optimize the gaming experience. There is an option to increase the storage of the phone up to 256GB with a microSD card that has a dedicated slot. The phone runs on Android 8.1 Oreo with a ColorOS 5.1 skin on top. There is a dual-camera setup at the rear with a 13MP+2MP setup and technology for detection of AI Scenes and Portrait Shots. The front camera has an 8MP sensor with AI beautification. The phone supports Dual nano SIMs apart from the microSD card slot. The phone will be available exclusively on Flipkart and the lower configuration is priced at INR 8,990 and the higher configuration version is available for INR 10,990. There will be an option between Diamond Black, Diamond Red, and Diamond Blue colors. The sale will begin from September 4. 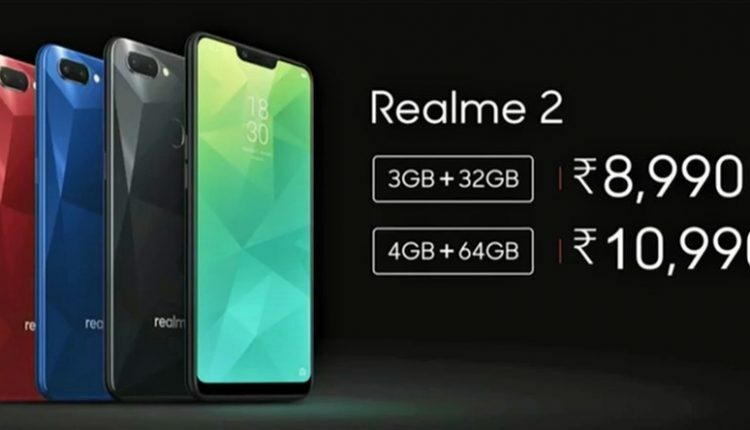 The company also teased the launch of a higher specced version of the phone, with the nomenclature as Realme 2 Pro, the event for which is scheduled in September.